To help our customer to drive their business success, Oracle has put in place the Lifetime Support Policy (LSP). Major product and technology releases. Updates, fixes, security alerts, data fixes, and critical patch updates. Tax, legal, and regulatory updates. Certification with most new third-party products/versions. Certification with most existing third-party products/versions. Extended Support may not include certification with some new third-party products/versions. and assistance from technical support experts. Access to OracleMetaLink, POINT Support Portal, AVT Support Portal, Global Support Portal System. Fixes, updates, and critical patch updates created during the Premier Support stage. Upgrade scripts created during the Premier Support stage. New updates, fixes, security alerts, data fixes, and critical patch updates. 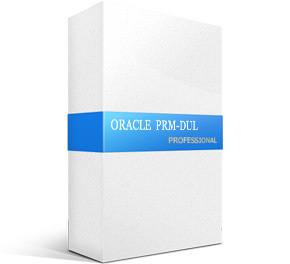 Certification with new Oracle products. Level section of “Technical Support Policies“ document. -> Patches created from August 2011 will be be Entitled under "Software Extended Support"
-> For downloading the Patches under Extended Support you would need Extended Support "EXS" CSI. An Extended Support contract is required to receive patches once a release enters the Extended Support phase. Note 821748.1 What is the Lifetime Support Policy For Captovation Capture / Oracle Document Capture Products? Oracle Database 10.2 has now transitioned from Premier Support to Sustaining Support. Our records indicate the CSI used for this SR does not have Extended Support so you are only eligible to Sustaining Support. Sustaining Support includes assistance with service requests, on a commercially reasonable basis, 24 hours per day, 7 days a week. It does not include new program updates, fixes, security alerts and critical update. The support policy details can be accessed at “http://www.oracle.com/us/support/library/057419.pdf “. If you need Extended Support please contact your account team.